Brace yourself, Spring is coming! 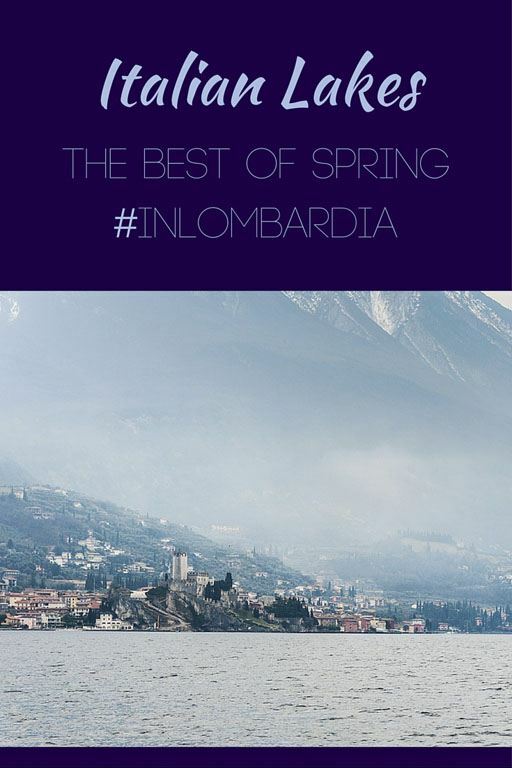 And there’s no better way to enjoy spring in Lombardia than a trip to the Italian Lakes – Lake Como, Maggiore, Garda and Iseo, all four of which can be found in Lombardia! And if you want to know more about Lombardia food, here’s our post about the best vegetarian Lombardia food! Winter may not be over, but I’m sure you’ll all have noticed that recently the weather has been getting warmer – trees are laden with buds, ready to burst through and paint our land with a multitude of flowers. The sharp, wintery wind has stopped blowing; instead, the sun caresses our skin with its rays, and shines a bit longer with every passing day. Even the smells are different. Gone are the scents of sodden leaves and slushy snow of winter – now, Lombardia smells like freshly grown grass. 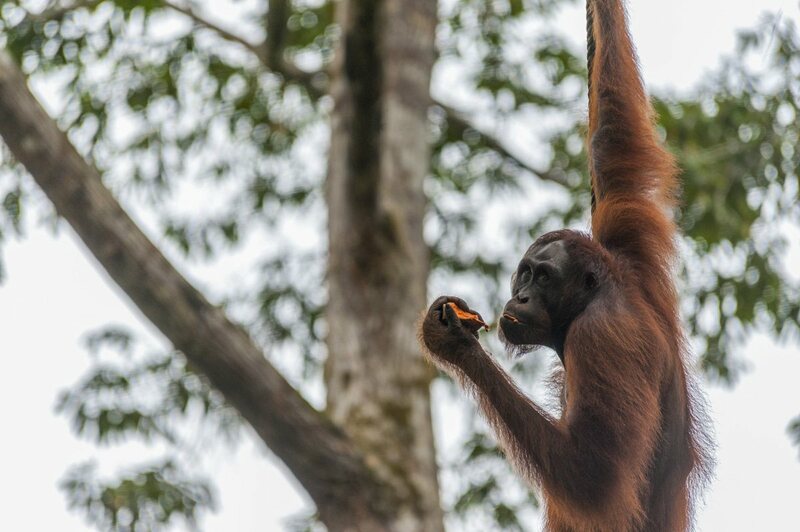 The smell of change, of life. Yes, spring is coming. It may not be here just yet – at least, not in full bloom. I don’t know about you, but I’ve left winter well and truly behind me, and now instead of planning ski expedition and snowshoe outings, I’m thinking of walks around the mountains and lakes, picnics in the sun and alfresco lunches. There’s one place in our region that always reminds me of spring. 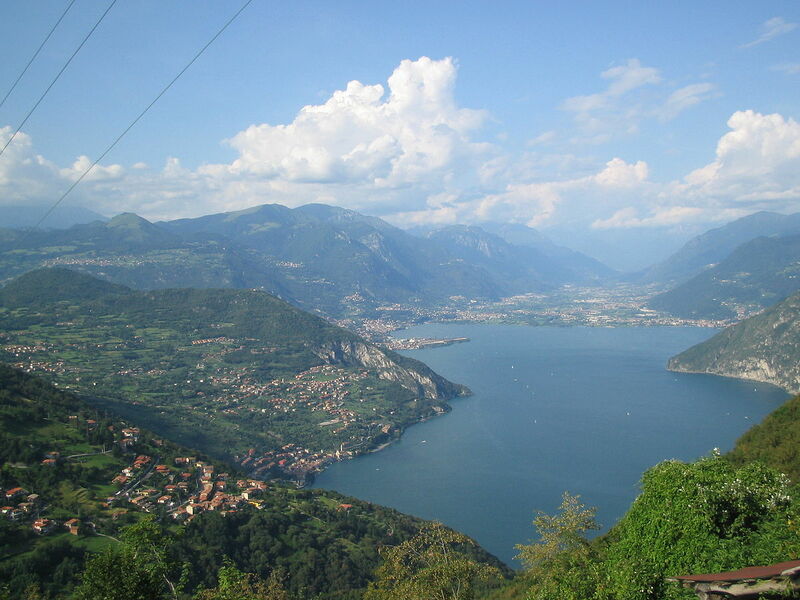 The Italian lakes – that as I’m sure you know, can all be found in Lombardia. 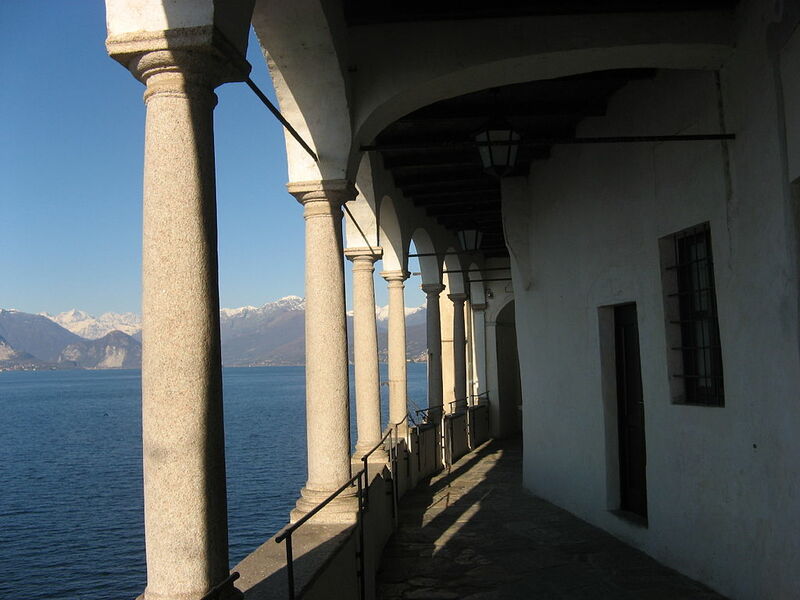 When I was a child, my grandparents lived near Lake Maggiore. In spring, it was time for me to go and chase ducks by the lake, ice cream dribbling down my chin. We would visit the Rocca d’Angera, enjoy a hot chocolate in one of the ‘fancy’ lakeside bars, and sometimes we would even treat ourselves to a boat ride. Since then, there hasn’t been a spring without a trip to one (or more) of the lakes. Here are some of our favourite things to do in the four Italian lakes, focusing on the Lombardia side. Just because my region is the best! Let’s start with Lake Como, the star of all four Italian Lakes, and perhaps the most visited. The lake is a sight all year round – in winter when the surrounding mountains are blanketed with snow, in summer when the sun shines brightly and the deep blue waters of the lake invite you for a dip. In my opinion, it’s in spring that the lake offers its best. It’s still not busy with tourists, the trees in the gardens of the luxury villas are in bloom and you can appreciate the ‘Mediterranean’ feel of the area, with palm trees, olive and citrus trees. Have a look at Lake Como on a map, and you’ll notice it’s shaped like an inverted Y. 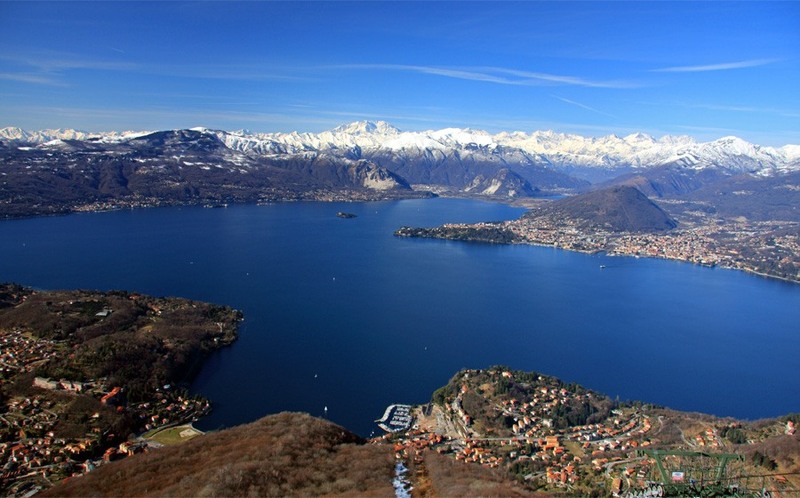 At the very end of the two southern branches you’ll find Como and Lecco, the two main cities on the lake. Como is a great place for a day trip from Milan, and perhaps the easiest and best place to enjoy the Italian lakes atmosphere if you don’t have a car. If you’re leaving from Milan, just head over to Cadorna station and catch any of the trains bound for Como Lago – make sure you choose this station because it’s right next to the lake. On a sunny day, Como is perfect for an afternoon walk – you can wander around the historic center first, then turn onto the lakeside promenade heading north. There are many sights worth a stop in Como, including the Duomo and the Tempietto Voltiano, a scientific museum dedicated to Alessando Volta, inventor of the electric battery. 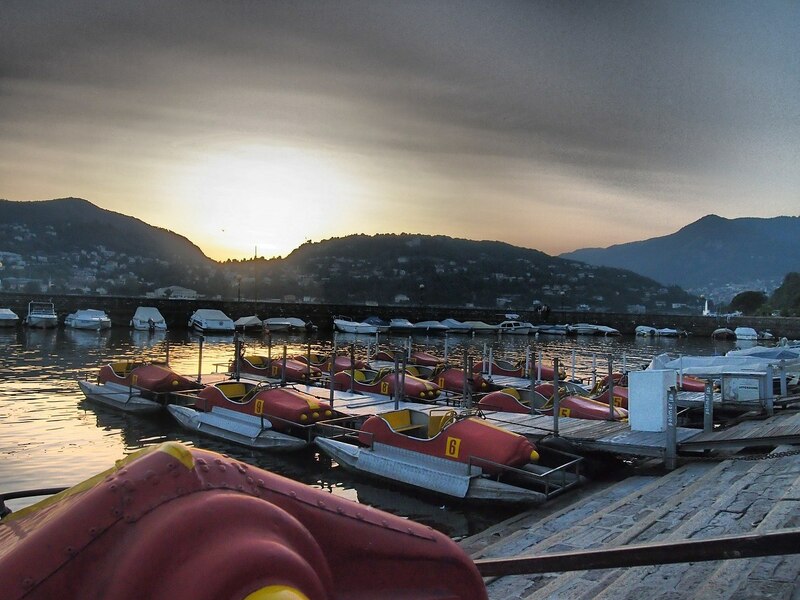 What makes Como special is the atmosphere – the speedboats of the rich and famous criss-crossing the turquoise expanse of the lake while swans lazily float by, the sun shines and you feel as if you jumped into a postcard. If you follow my recommendation and walk the Como lakeside promenade, you’ll notice a funicular heading to the top of the mountain on your right hand side. 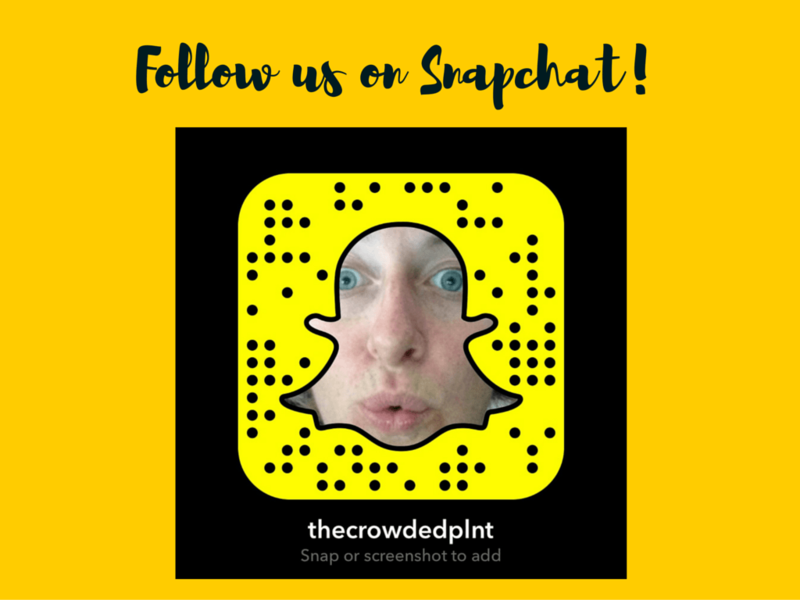 Follow my advice – take it. You’ll get to Brunate, a tiny village offering a stunning view over the lake (and not many tourists in sight). But if you want to be well and truly alone, and get a million dollar view of the lake, walk another two kilometers to the Faro Voltiano, a lighthouse dedicated to Alessando Volta (Como’s most famous citizen, in case you hadn’t figured it out). Any Star Wars fans around here? 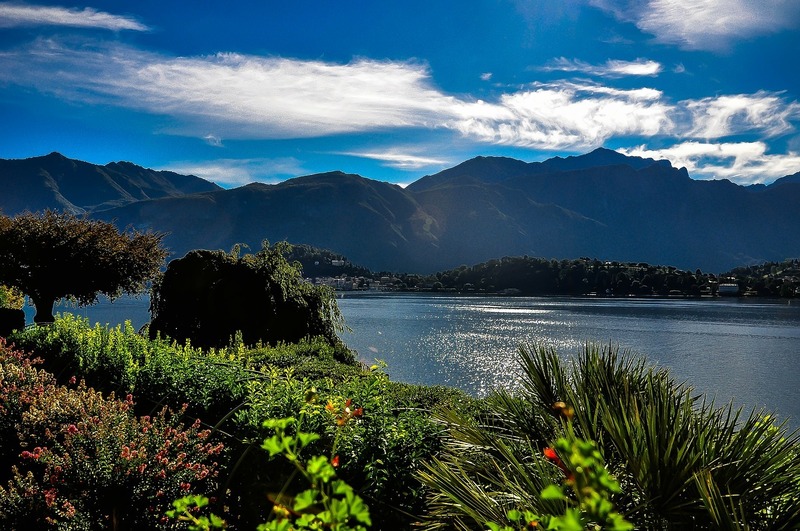 Did you know that Naboo is actually on the shores of Lake Como? The magical villa where Anakin Skywalker and Padme Amidala tied the knot in Attack of the Clones is in fact Villa del Balbianello, a historical villa found near Lenno, about half an hour drive north of Como. 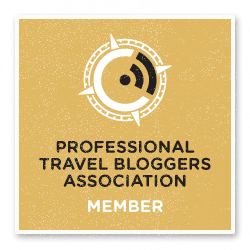 The villa can be visited – head over to the FAI website or read this article by Fotostrasse to learn more! Climbers, mountaineers, adventure junkies, this one is for you! 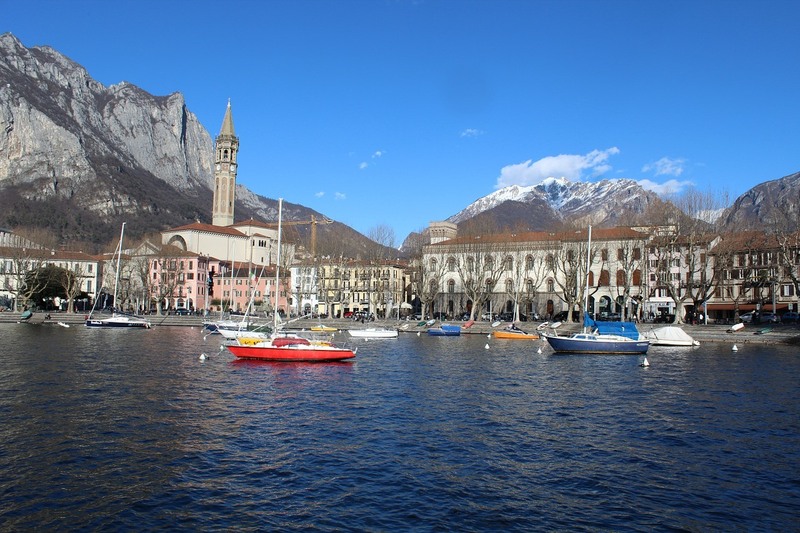 At first glance, Lecco may look like a quieter and more subdued version of Como, with less glitz and glamour and lots more locals than tourists about. It is a great place for a Sunday afternoon walk, just like Como – but it’s also one of the best climbing hotspots in Northern Italy. There are several falesie (climbing crags) near Lecco – Galbiate and the Placche di San Martino are perhaps the best known. Not to mention that the town is also home to the legendary Ragni di Lecco, one of Italy’s most famous climbing schools. 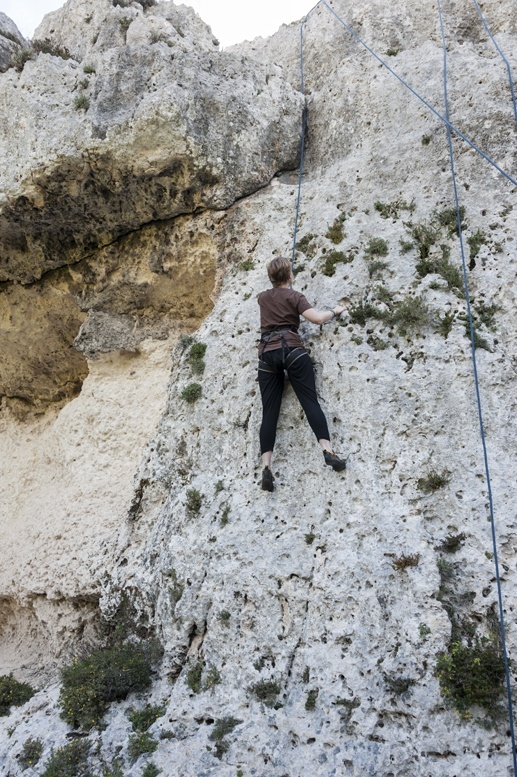 So, whether you’re a seasoned climber or want to learn your moves on the rocks, Lecco is the place for you. Ohhh, the lake of my childhood! Lake Maggiore is the westernmost of the four Italian lakes, straddling the border between Lombardia and Piemonte. Most of the famous sights are found on the Piedmontese shore, including dreamy Isole Borromee and Mottarone (that my father used to call ‘Monte Panettone’ – Italian speakers will get the joke). Yet, the Lombardia shore has some worthwhile sights. The main hub is Varese, which is not actually on Lake Maggiore but it’s the closest main city. Until a couple of years ago it was probably the least interesting city in Italy, but now it’s experiencing a kind of ‘renaissance’ thanks to an active street art scene. From Varese, you can easily head to the two sights I recommend on the Lombardia side of Lake Maggiore. History lover? This one is for you. 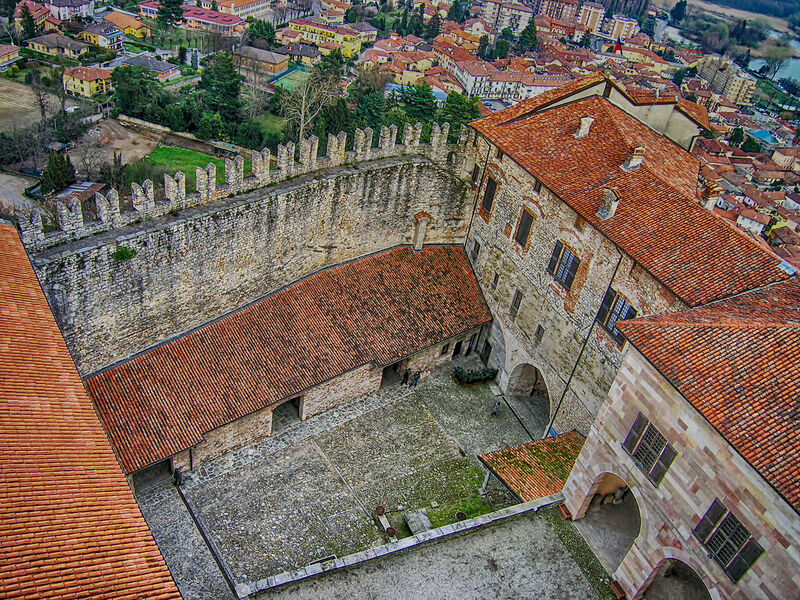 The Rocca di Angera is a 13th century castle overlooking Lake Maggiore and the town of the same name. It is also known as Castello Borromeo, after the wealthy Milanese family that still owns it. The castle is quite a sight on a spring day, and it’s a great place to learn about medieval architecture and the military history of the area. The castle also houses the Medieval Gardens and a doll museum. I have a very vague recollection of hiking here as a child, perhaps 4 or 5 years old. I remember a hot and sweaty staircase leading to a miniature church that looked hewn from the rock, with a great view over the lake below. There are some faded Eighties photographs that bear witness to that day – and prove I didn’t make up the story. The Eremo di Santa Caterina is a working Benedictine monastery, dating back to the 12th century. It has been restored and extended throughout the centuries, and has some interesting frescos inside. But the view is what you’re really here for. 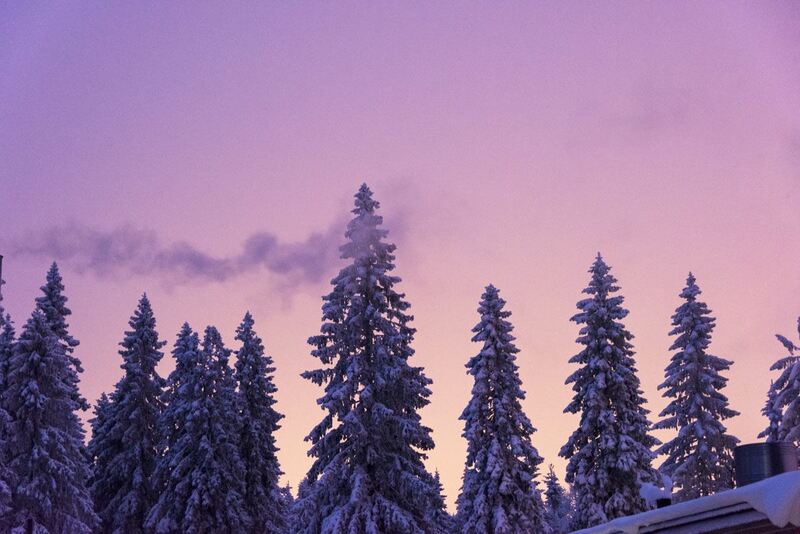 So pretty, that I may return myself this year. Lake Garda is Italy’s largest and most diverse lake. It offers history, nature, outdoor activities, beaches, and even an amusement park that was one of my favourite places in the world when I was a teenager. 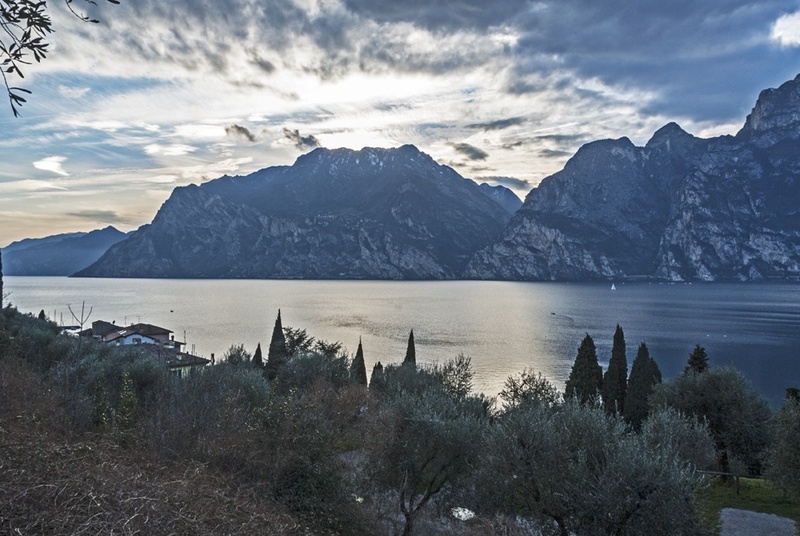 The shores of Lake Garda are divided between three regions – Lombardia, Veneto and Trentino. 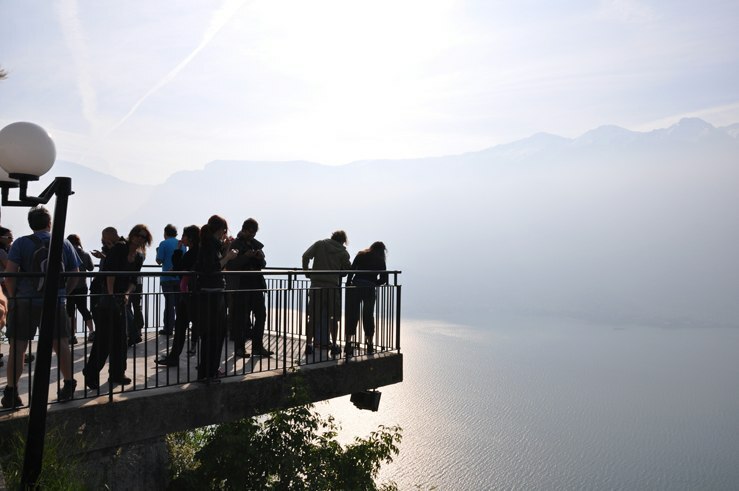 Check this link for an overview of things to do on Lake Garda, or read this article if you want to know about Lake Garda adventures on the Trentino side. If you want to hike Lake Garda you can opt for the recently-opened GardaTrek, three loop trails of various length between lake and mountains. For Lombardia sights, read on! On the lake’s southern shore, right at the tip of a peninsula near the border with Veneto, you’ll find Sirmione, a favourite holiday location since the times of Ancient Rome. Here the poet Catullo had this villa, now in ruins. Later on, the Mediterranean charm of Sirmione bewitched many more poets, like Tennyson and Joyce, and many (usually German) holidaymakers that visit Sirmione each year. Yet, in spring the place is still wonderfully quiet. 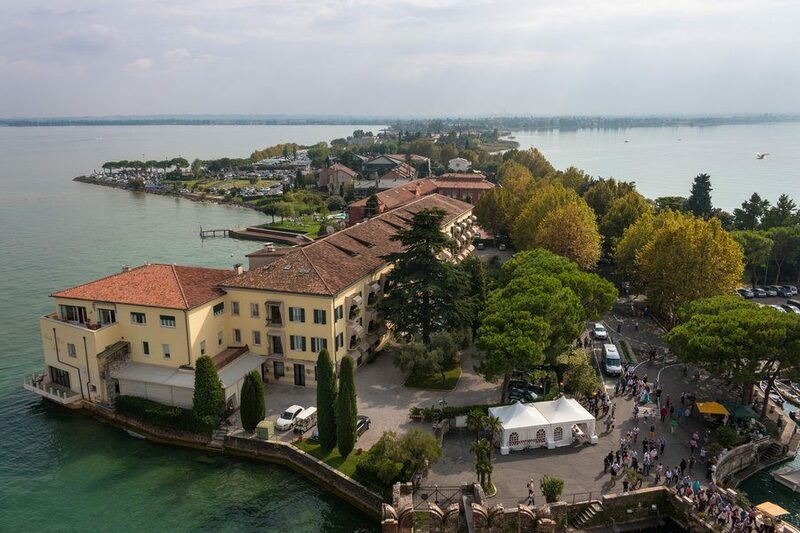 Visit the pretty Scaliger castle on the lakeshore, head to the spa or walk to one of Sirmione’s beaches for a picnic to remember – especially if you’re lucky enough to be alone. This is another place I’d love to visit. It’s a small town near Brescia, in the northern part of the Lombardia shore. If adventure is what you like, you’ll be spoilt in Tremosine – paragliding, horse-riding, canyoning and kitesurfing are some of the adventures on offer, and it’s the starting point for mountain walks visiting WW1 trenches and battlefields. This is the lakeside home of Italian poet, novelist, soldier, philosopher and God-knows-what-else Gabriele d’Annunzio. The man was eccentric, to say the least – and his villa is a testament to that. I don’t want to reveal too much or I’ll spoil the surprise, let me just tell you that you’ll find a plane hanging from a dome, a warship in the gardens and the reproduction of a classical theatre. And lots more oddities. The closest town to the Vittoriale is Gardone Riviera, near Brescia. Poor Lake Iseo! 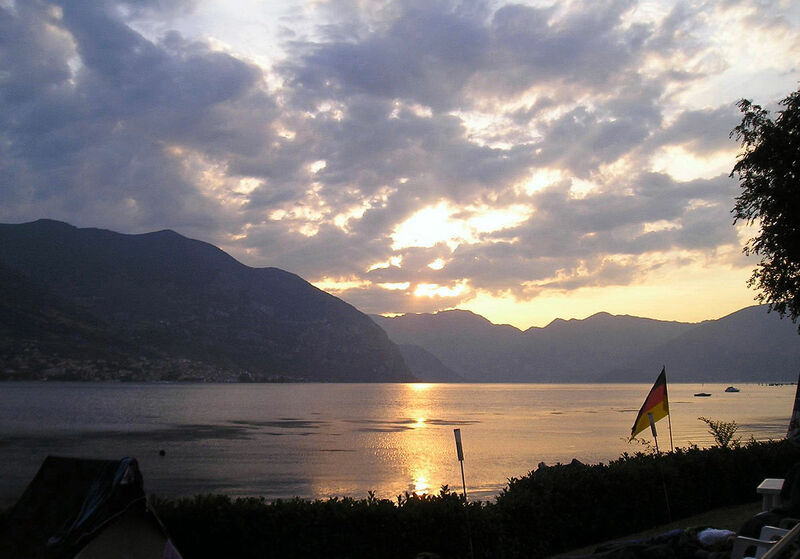 The smallest of the four Italian lakes, Iseo is often neglected in favour of its three larger siblings. Yet, it’s really worth a visit. As I said, it’s the smallest lake, but it has the largest island – Montisola, measuring 12.4 square kilometers. Lake Iseo only sees a fraction of the tourists compared to the other three, but it’s a great option if you want to immerse yourself in traditional village life – you’re likely to be the only tourist for miles. 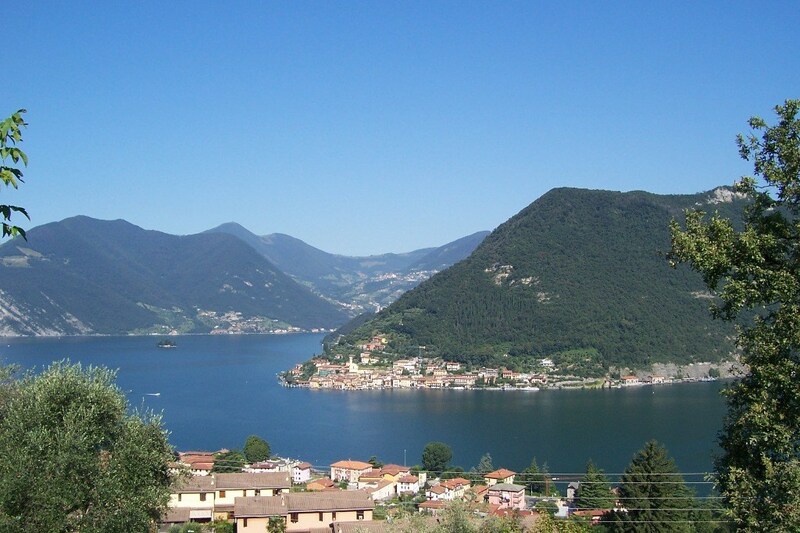 If you like trekking, Lake Iseo is a great destination. Trails aren’t overcrowded and you’ll be able to enjoy spectacular views over the lake when you get to the top. 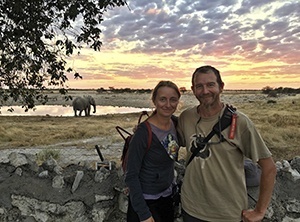 The villages of Presso and Marone are near the trailhead of some spectacular hikes – if you are a seasoned hiker you’ll be all right following markers, otherwise we’d recommend arranging a guide. Montisola is another excellent choice for a day trip. There’s a 9 km trail going all around the island, through the fishermen village of Peschiera Marengo and other hamlets where it feels like the time has stopped. And what about Orta Lake, which is very near to Lake Maggiore? If you come to Pettenasco, let me know! You will fall in love! OOOOHHHHH I’d love to! Never visited Orta Lake! But it’s in Piemonte isn’t it?